Chinese Poker and variations of it are becoming increasingly popular in the poker world. Constant action, decision making and game dynamics attract a wider variety of players, who might not usually play Texas Hold'em or Pot Limit Omaha. 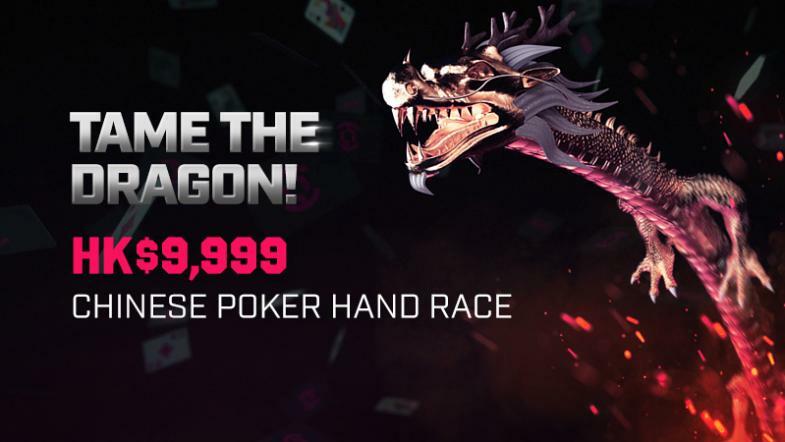 With the recent launch of the HighStakes Mobile Apps and Chinese New Year, the concept of feng shui inspired this HK$9,999 giveaway, exclusively for Chinese Poker players between Feb 1st and Feb 28th, 2019.